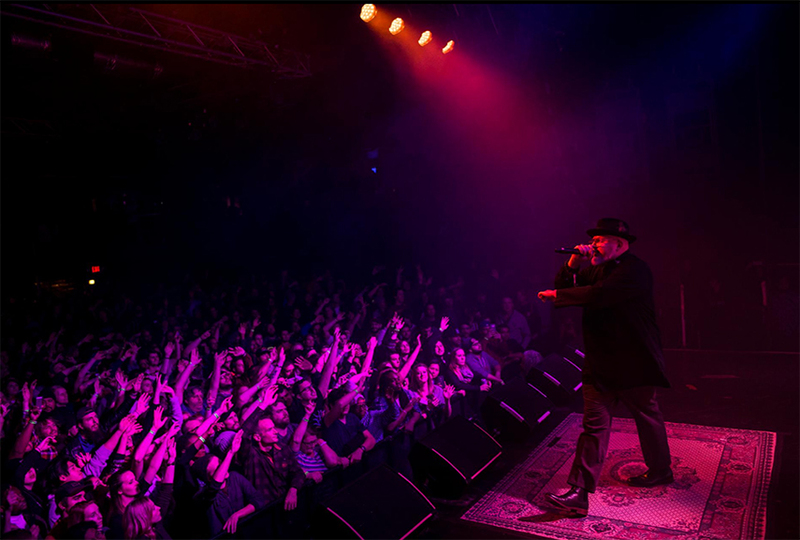 Brother Ali, a white Muslim hip-hop artist, performs in his hometown of Minneapolis, Minnesota. Born with albinism, Jason Douglas Newman felt ostracized as a child by white children but accepted by black children, and he gravitated toward black culture. When he was 13, he met rapper KRS-One, who encouraged him to read The Autobiography of Malcolm X, which led to his decision to convert to Islam.